Cape Verde developers are confident about the year ahead, as the country’s tourism sector continues to build. The island country has grown significantly in the last decade. In 2005, there was only one international airport in the archipelago: the Amilcar Cabral International Airport on Sal. Since then, the country has invested heavily in boosting infrastructure to welcome more visitors from overseas. Today, the nation is almost unrecognisable, with Sal’s airport joined by the Praia International Airport on Santiago and the Aristides Pereira Airport on Boa Vista. Extensions and expansions have been rolled out for each, while Sao Vicente added to the number of international airports in 2009, with Cesaria Evora Airport opening its doors. Now, visitors can travel to Sal directly from airports such as London Gatwick, Birmingham, Manchester, Bristol and Glasgow, opening up a vast range of opportunities for both vacations and investment. TAP Portugal flights are also on the up, with rising interest in Cape Verde helping to boost their air traffic by 36 per cent in December 2016. The result is a strong flow of tourists to the islands, with 2016 seeing 2.2 million passengers pass through the archipelago’s airports, according to air safety company Aeroportos e Segurança Aérea – up 11.5 per cent year-on-year. That increase was recorded across almost all of the airports in the country, led by Sal international airport, where passenger numbers jumped 22 per cent. Boa Vista was the second fastest-growing, with passengers up 9.5 per cent. The only airport to see the number of international passengers dip was the Nelson Mandela International Airport, with traffic slipping 4.1 per cent – although even this was due to Cape Verde’s continuing efforts to expand its infrastructure, as the airport saw refurbishment work carried out last year. The tourism sector is a major contributor to Cape Verde’s economy, and healthy growth in one fuels a positive outlook in the other. In 2015, economic growth stagnated at 1.5 per cent, down from 1.9 per cent in 2014, but tourism continued to recover and grow, helping to drive up foreign direct investment in the first half of 2016. That rebound led to expected economic growth of 3.2 per cent across the whole of last year, with the World Bank now predicting 3.3 per cent growth for 2017 – 1.4 percentage points higher than their previous forecast. 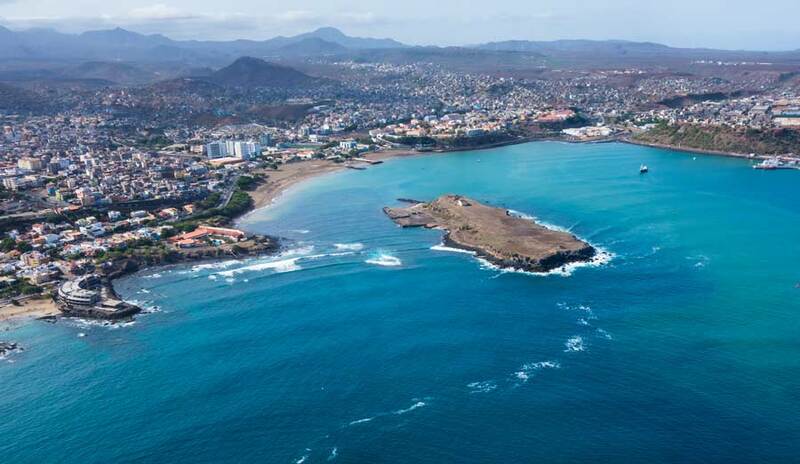 The International Monetary Fund forecasts Cape Verde’s economy will grow 4.1 per cent in 2018, 2019 and 2010, as momentum paints a positive trajectory for the years ahead. Developers are now building upon that confidence, with a number of new developments in the pipeline for last year and the months ahead. According to the National Institute of Statistics in Cape Verde, the number of overnight stays on the islands grew 5.2 per cent in 2016, with Brits leading visitor traffic from Europe, Cape Verde’s biggest market for tourism. The average British tourist stayed the longest in the country, with an average stay of 10 nights. Sal is the most popular destination for tourists, according to the ASA, with the island’s international airport seeing international visitors jump 18.6 per cent year-on-year in 2016. The Resort Group PLC tapped into that demand with the launch of the MELIÃ Llana Beach Resort & Spa on the South-West coast of the island at the end of last year, joining its other newest development on Sal, the MELIÃ Dunas Beach Resort & Spa. The pair, which also operate TUI Sensimar Cabo Verde, have now inked a major commercial agreement with a world-leading travel brand to guarantee nearly one million customers to their three Sal Resorts over the coming three years. Llana Beach and Sensimar are adult-only resorts to contrast with the family-friendly atmosphere of other resorts. 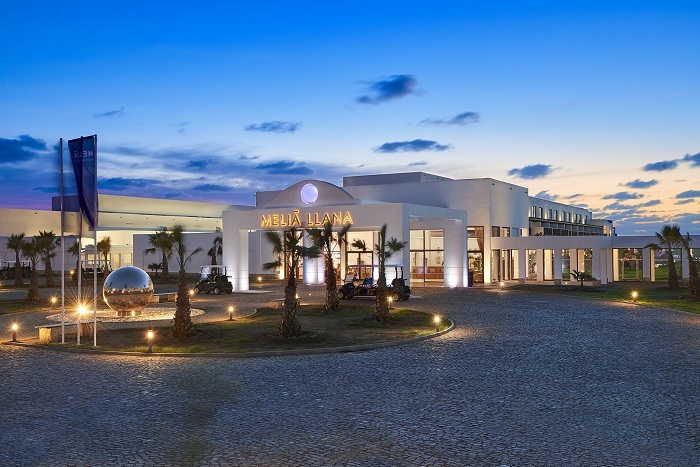 They have already proven successful, with Meliá Group winning the award for Luxury Hotel Group of the Year in Cape Verde at the 2016 Luxury Travel Awards. The Dunas Beach Resort will also get an added dose of glamour and exposure this year, after the development hosted Britain’s Next Top Model, filming three programmes in total for future broadcast. Investors are also being drawn to the resorts, with enquiries for Cape Verde property on TheMoveChannel.com hitting a three-month high in January 2016 and a seven-month high in October. Sal is the primary target for most foreign buyers, making up more than half of all Cape Verde enquiries in 2016. Boa Vista, though, is the next focus for developers. 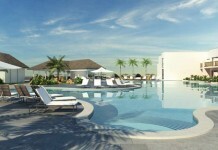 With work on The Resort Group PLC’s Sal resorts now complete, the company will be turning its attention to the White Sands Hotel & Spa, located on Sal’s sister island. After breaking ground on the project in late 2015, and signing contracts at the start of 2016, construction will ramp up in 2017. “Work has begun in earnest with some blocks nearly completed and the rest of the Resort taking shape,” says Mr. Dumble, with the development expected to complete in 2019. There is certainly an audience there for the properties, with the ASA reporting that Boa Vista’s airports saw international visitors rise 10.3 per cent year-on-year in 2016. The island of Boa Vista also represented 49 per cent of overnight stays in hotels, according to official figures. Investors are no strangers to its shores either, with the island proving the second most popular among foreign buyers, accounting for one in eight Cape Verde enquires in 2016 on TheMoveChannel.com. With Cape Verde reliant upon European holidaymakers as its biggest tourist market, there are, of course, headwinds facing the country, as uncertainty surrounds the UK’s Brexit vote. Indeed, British tourists make up the main share of visitors to the islands. Demand from investors dipped during the middle of last year, although buyers returned several months after the EU referendum: in Q4 2016, enquiries more than doubled quarter-on-quarter. As the country keeps working to improve its infrastructure, and overseas visitors keep flocking to the country, the mood is upbeat at the start of this year. This winter will see additional direct flights introduced at Glasgow and Birmingham. 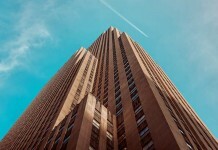 The Resort Group PLC has also launched a new investment model – “755 Property Options” – designed to offer long-term guaranteed returns for new investors, as well as a structured exit strategy. The company was accorded a corporate BBB investment grade rating by ARC Ratings S.A., the fully accredited European Commission Rating Agency, which it expects to boost trust in both Cape Verde and its developments. Indeed, Panama-based publisher Live and Invest Overseas recently ranked the country as their ninth top place to invest in the world, citing climbing rental demand as key to its appeal to property investors. On TheMoveChannel.com, 2017 got off to a strong start, with enquiries for Cape Verde real estate doubling month-on-month in January. Away from the beach, meanwhile, The Resort Group PLC is also involved in constructing the new University of Cape Verde in the capital of Praia on Santiago Island. The confidence continues to build.